I have been waiting to watch this series for years. I didn’t really have an opinion about any of the House of Cards series in my life because I didn’t really care. I thought it would be stuffy and boring. Please see my Yes, Prime Minister Article for further proof about how wrong someone can be about such things. 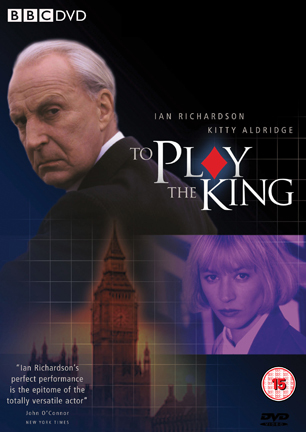 Sadly in 2007 Ian Richardson surprisingly passed away. I remember it being something of a shock. Now, I had this set of the House of Cards trilogy. Like other things in my collection, it sat around without being watched. After Mr. Richardson’s untimely passing, I decided that I would watch the first series of 4 episodes and see how it goes. I was simply blown away by how good it was. There is a light hearted approach to it (at least at the beginning) that surprised me. 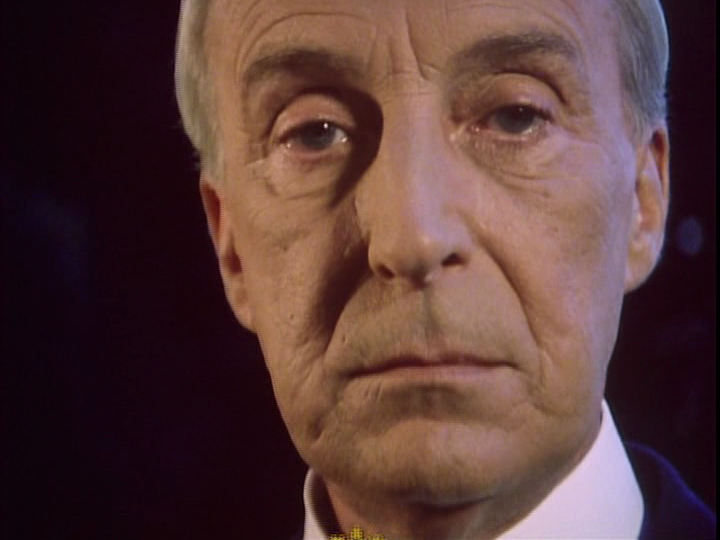 Francis Urquhart is speaking directly to the camera and some of what he says is interesting and funny. What he does is very curious and the whole series just sucked me in. I planned on watching one episode a week for four weeks. I watched it all in one night then went back and watched it again over four weeks. You will have to excuse my viewing habits. I am not someone who generally will watch something episodically in one evening. I tend to like to break something up. If it is something I really like, that means it is something I can look forward to enjoying and stretch it out. I know it is strange and that is because I am strange. If you have a large DVD collection, why not watch it now? Oh well. 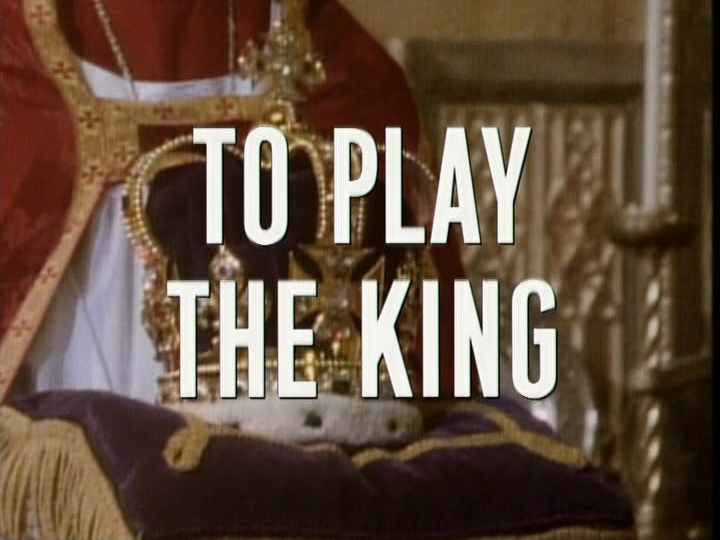 Anyway, after I watched House of Cards I wanted to immediately move on to the second series To Play the King. Then I decided that I would wait until it was randomly picked from “the envelope”. That was literally 5 years ago. So much has changed in five years. One thing is that I write a blog about the TV series I watch. I started this blog with very little content towards the end of 2007. This is why there is no article on this first series. With most things that I watch and write about, I have seen it before or have a general idea of what is going to happen. To clarify this for example, I don’t know every episode of Last of the Summer Wine but I can pretty much figure out what is going to happen or at the very least spoiling it is not a huge issue. With To Play the King, I don’t know anything that is going to happen. In fact, each of these articles for this series will be written without knowing anything about this series because I do not want to be spoiled. I like to try and do some research on the series I write about but not this time. For the next few weeks, all you will get from me are my reactions to these episodes. Hope this is alright and still relatively interesting. The opening credits sets the stage as well as what the series is about. We see the new King crowned. 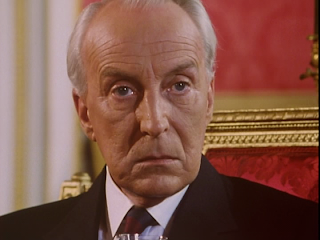 Francis Urquhart is Prime Minister of the UK. In House of Cards, Urquhart had been looked over for a high government position by then new Prime Minister Collingridge. It set the Chief Whip in motion to have his revenge. It ended with the Prime Minister resigning and a few people shamed out of trying for the office. Worse, two people are murdered by Urquhart, including his lover Mattie Storin. I wasn’t sure how this would be addressed but what I found very interesting was Urquhart reflecting and playing in his mind over and over Mattie, his lover and a reporter, falling to her death from the roof garden of the House of Commons. This was how House of Cards ended. She was pushed off a roof by Urquhart when she realized that it was him that was directly responsible for all the awful things that had been going on in government over the past few months. People’s lives had been ruined and it was Urquhart’s fault. What is even more interesting is that Mattie recorded everything on her tape recorder, including her conversations with Urquhart. Even her final conversation where he admitted to everything was recorded before he lifted her over the railing dropping her to her death. We see at the end of House of Cards that that her tape recorder was still in her hands when she landed and someone picked it up. We see a little more of it in this episode as we see that footage of someone picking up the recorder but now we see them collect it into a bank box and lock it away. I wonder if this is where RTD got the idea at the end of The Last of the Timelords and the beginning of The End of Time where there is a hand that picks up the Master’s ring causing us fans to speculate endlessly on who the hand belonged to that picked the ring up. Back to the show I am watching, now I just have to wait to see who this hand belongs to. I have not seen the anymore beyond episode one which includes the third installment, The Final Cut, but I think it is Penny Guy from the original series. After re-reading this article before posting, I have seen re-watched Episode One and can categorically state it is not Penny Guy. If you know, don’t tell me! Don’t you dare! One striking image we see from the beginning of the episode as the new King is being led through the streets in a celebratory procession is that there are a lot of homeless people. London seems to be rampant with it. Although Urquhart is doing a respectable job, there are a lot of issues that can be directly attributed to his leadership. Although 46% of the people approve of Urquhart’s leadership there are unprecedented homeless and broke people shown throughout the episode. The new King wants to be more involved with what is going on in his country. 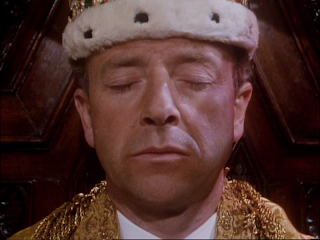 When Urquhart and the King meet for the first time, it is a pleasantly strained conversation. They are both trying to be polite as they try to figure each other out. It is clear that they have some differences. The King comments that his mother, the Queen, would say of Urquhart that she would tell him what she would like to see happen and he would go away and do something entirely different. 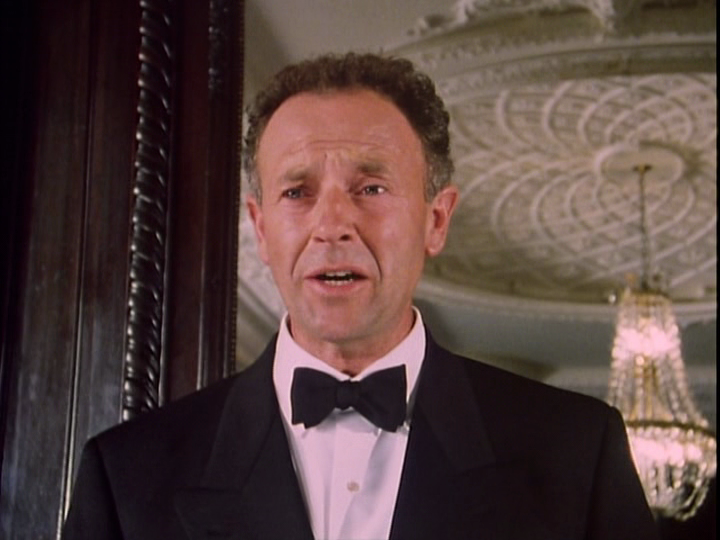 Meanwhile, Elizabeth Urquhart realizes that her husband is becoming a bit sluggish; everything has been too easy for him since taking over leading the country. She wants to give him something or someone to work on. This person is Sarah Harding. She is an expert with opinion polls and Urquhart wants to “plunder her brain” for his own achievements. 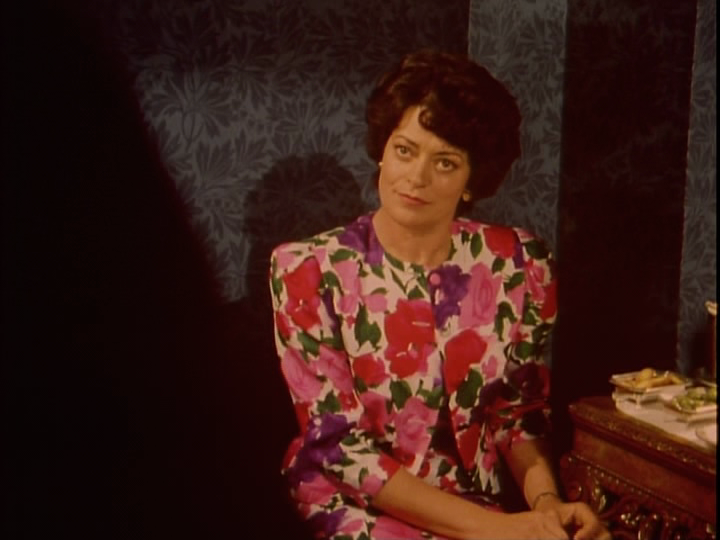 In a very interesting moment when Urquhart and Harding meet, she is compelled to let the Prime Minister know that she is happily married to her husband. Urquhart never says anything that would contradict that yet he basically told her that if she were to work for him, she would need to do anything he would ask without question. Here it starts mirroring the relationship Urquhart had with Mattie in House of Cards. He was able to train and “mentor” Mattie by giving her some inside information and letting her figure out what is going on…..well, she came to the conclusion Urquhart wanted her to come to for his benefit. The same could be said of Sarah. After she is employed, she is brought over to the Prime Minister’s residence to look at the King’s speech. It is in direct opposition to Urquhart’s government. Urquhart had asked the King to give him the speech to check the facts. Now, he wants Sarah to rewrite it and take out all of the interesting bits that go against his government. Throughout the scene, the Prime Minister is schooling Sarah on what’s “really” going on with the King which was very familiar with his approach to Mattie when he was trying to become Prime Minister. Even after Sarah finishes re-writing the speech and leaves, Urquhart has a flashback to Mattie’s death as he threw her over a railing on the roof of a garden terrace and she falls to her death. So when does this series take place and who are these people in connection to real life events? The people in our world are real in this series. This takes place in our reality. In the House of Cards, when Prime Minister Collingridge took over the government, he replaced Margaret Thatcher. 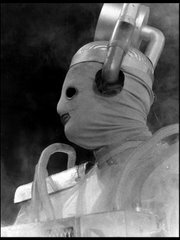 Margaret Thatcher is referenced multiple times throughout both series. More interesting to me is the royal family. Once again in the House of Cards, the monarchy is ruled by the Queen and by all intents and purposes it is Queen Elizabeth II. We even get some glimpse of pictures of her on various walls in different buildings. At the end of House of Cards, Urquhart as the new Prime Minister is about to meet her. Now at the start of To Play the King, the King has no name (at least none that I am aware of yet). He has been crowned as King and the Queen is spoken of in past tense. It is clear that the King is the son of the Queen. It is not mentioned if the Queen had died yet there is no mention of her at all but there is no mention of her dead either. To the people who have seen this series before, I apologize for my assumptions and naivety on many plot points. I have not seen this series all the way through so things that don’t make sense to me are just me guessing and by the time I finish Episode Four, I will be the wiser. If the monarchy in this series is the current monarchy, it is clear that the King would be based on Prince Charles. At the beginning of the episode when the King is being crowned the shot pans to a woman and young boy on a balcony looking on. The King is divorced and his ex-wife looks pretty similar to Princess Di. There is also more to the King than we are aware of at the moment. I am sure this will become clearer as the series continues. As an interesting note, most scenes with the King end with him walking out through a door into a separate private room. I am not saying it means anything but I found it funny. There is also a mention that the King has been known to send out for prostitutes in the past. This caused an uproar when the episode aired. There is more that I have not mentioned yet such as Urquhart using Tim Stamper to obtain “Regal Insurance’ from Princess Charlotte. She is someone who had married someone in the Royal family and had since divorced them. She mentions that she was warned by someone within the Royal Family that there would be an “accident” if she said too much. This is very ghoulish considering what eventually really happen with Princess Di and how some of the public believe there were people tied in with the Royal Family had something to do with that tragic death. With much of the stuff I have not mentioned yet, I feel I should wait until I understand a little more what is happening with those strands. This is very strong start to the series. While watching it, I would find myself saying this is f*****g fantastic! The lines, the shots, the music combine to make a flawless execution of this series. It is interesting to note that a few weeks ago I was praising the music in Mapp & Lucia. House of Cards/To Play the King also has a very strong theme which is prevalent throughout all the episodes and is beautifully classical. The music is by Tim Parker who also did the music on Mapp & Lucia. What I do know as we leave Episode One is that the Prime Minister and the King disagree on a lot of things. The King wants to take a larger role in the running of the government in which Urquhart will not allow. His wife is even less sympathetic to the King as she tells Urquhart uplon hearing how difficult the King is, "Break him Francis, Bring him down". 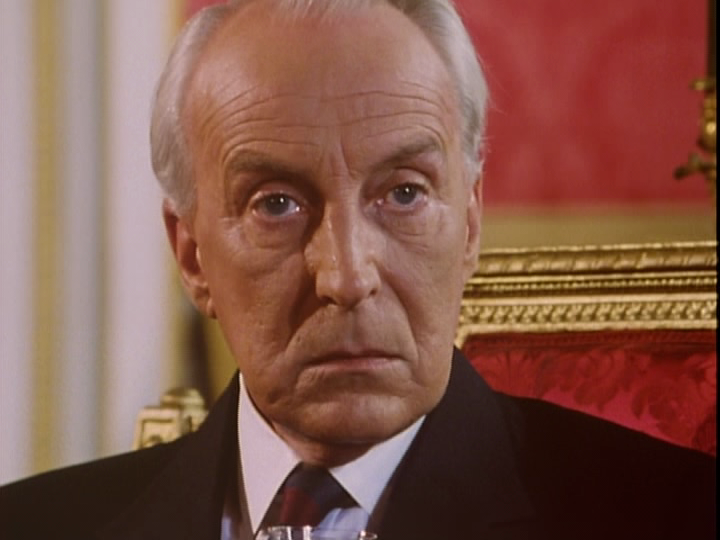 Next week: Episode Two of To Play the King and we see what Prime Minister Francis Urquhart does in response to the King publicly attacking the government. Another interesting article (at least what I read of it) about something I have not seen. I read the introduction and some at the end, but skipped most of the article to preserve a bit of the mystery for when I do get to watch this. Does that mean I won't hear from you for the next few weeks? I would highly recommend seeking this series out. It is tremendously enjoyable though so far I do prefer the first series to this one yet this is still very good. In a few weeks I will be looking at something Barry Letts & Terrance Dicks have worked together on.